No Fenders -Formula 1, IndyCar and A Whole lot more..: Will Bruno stay or will he go? 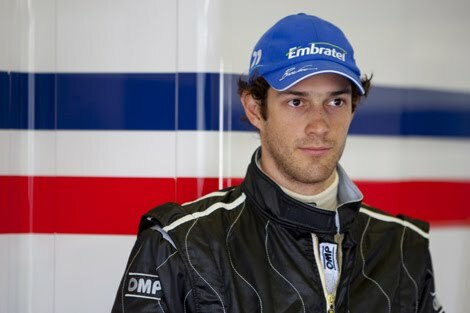 Don’t know if Y’all are following along with the Hilarity occurring at Hispania Racing this weekend, as race driver Bruno Senna has been given the week off in favour of Sakon Yamamoto, or as ‘Hobbo (David Hobbs) laughingly referred to during Friday practice; “Sackoe Money-ato.” Cymbol crash please! Yet, just 24hrs after his reported sacking, things have gotten even funnier as now Bruno has been confirmed for the remainder of the season at Hispania, albeit the Teams Test/Reserve Driver Yamamoto will race this weekend instead. While Team Boss Colin Kolles claims there isn’t any animosity between Senna and the Team, you have to wonder if it has anything to do with SPEED’s Pitboy Will Buxton noting how Bruno had claimed that the only upgrade that had occurred for the European GP weekend was Senna getting a new iPhone; YOUCH!While others have suggested that perhaps Senna has now found some additional funding he’d previously been lacking? Then again it's certainly getting them some publicity, eh?